MIDD Volleyball 2017-18: MIDD Sweeps Maine Teams in Pepin Finale! 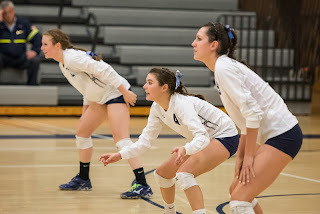 MIDD Sweeps Maine Teams in Pepin Finale! It was a big weekend for MCVB, and our seniors playing in their final home games in Pepin. 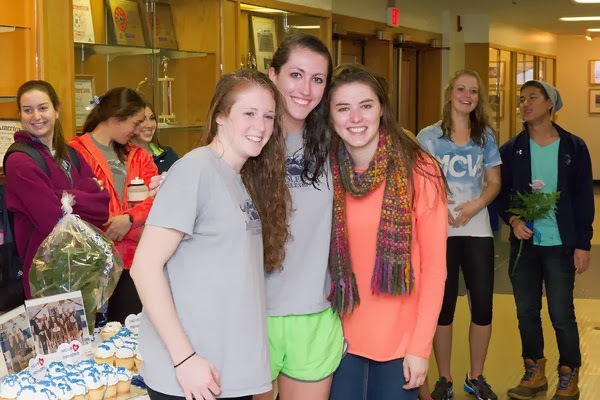 We took on Bowdoin on Friday night, who was coming in with a 7-1 Conference Record, and we rocked the house, well, except for the first set. We came out a little slow, and maybe a little tight expressed by a few overpasses, and we trailed the entire first set, and lost 17-25. The second set was the reverse of the first, with us never trailing. We were always up by at least 1, and often 3 or 4, and we closed out the set 25-18. The third set was a battle! It was back and forth and either tied, or one team up by 1 or 2 points until we took a 4 point lead 18-14, and even went up by 6, 21-15 before Bowdoin came charging back to tie it at 23-23. A kill by each MJ and Amy ended that set in our favor, 25-23. After that, I think we took the wind out of their sails as we pretty much dominated the fourth set. It was tied early at 4-4, but after getting up 12-7, they would fight to within 1 at 13-12 on a 5-1 run, but would get no closer than that. We pulled away with an 8-0 run to put the game out of reach at 21-12, and we closed out the upset 25-17 in the 4th. It was a big win for us, and a great one to get at home. 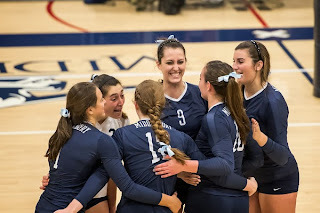 We were in our slump during the meat of our Conference matches, so to beat two of the top 3 teams in the last two weeks of the regular season (Amherst at the HOF, and Bowdoin this weekend) was a boost for us. We feel like we're playing well, and we just want to keep improving every day. 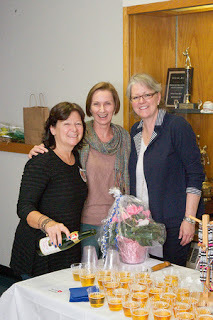 The next day, we celebrated Senior Day. The first set was a run away, but after that, it was another battle. In the second set we trailed from the first point until we finally tied it at 18-18, and 19-19 before we took our first lead at 20-19, and never looked back to pull away for the 25-21 win. Bates came out in the 3rd set and traded points with us for most of the third set having 12 different ties before losing that set 23-25. We would then close out the match after a competitive 4th set. What was funny was that we got up 24-14 and it looked like we were trying to get one of the seniors to win the match, so we kept setting Amy, who was getting some good hits, but Bates just kept digging the ball (except for the one that looked like it HAD to have gone off of a Bates blocker, but they said it just hit the net and went out?!). Anyway, they rattled off 5 straight points before hitting one out to give us the win! 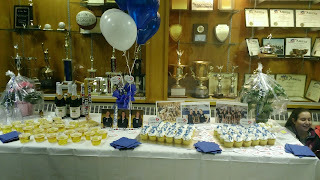 The seniors' moms put together a great spread for us after the match for our senior celebration, which was really nice. 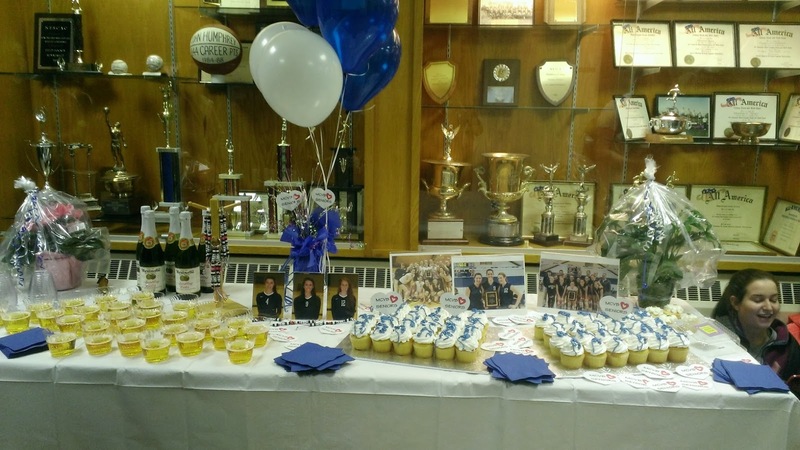 They set up a table with tons of cupcakes, pictures, balloons, flowers, sparkling cider and the whole thing was very festive! Amy's dad gave a toast, and then we ate, which we love to do! It was very simple, but very nice. Thank you to the mom's (Margaret, Ann, and Angela) for putting it together!! Seniors All Honored by NESCAC, Amy by AVCA also!